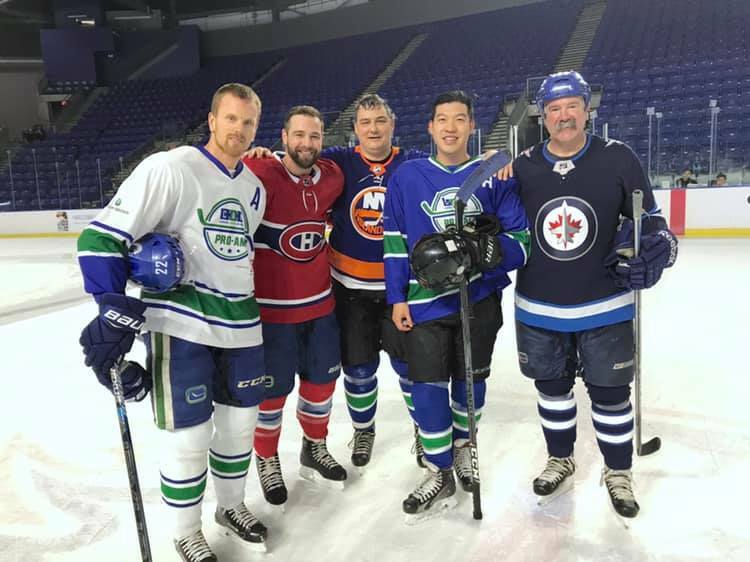 VANCOUVER, BC – The inaugural 2019 CAN Pro-Am Hockey Tournament hosted by the Canucks Autism Network gave amateur players an exclusive opportunity to compete alongside NHL Alumni. The event was themed ‘The Best of BC’ featured former NHL players that either played for the Vancouver Canucks or were born in British Columbia including Cliff Ronning, Brendan Morrison, Chris Higgins, Kirk McLean, recently retired Daniel Sedin, and more! The tournament was hosted at both UBC’s Doug Mitchell Thunderbird Sports Centre and Rogers Arena, and was a major success with each team raising over an average of $35,000 for BC families with autism. The weekend was an amazing experience for all!